So, you’ve caught the aviation bug! We don’t blame you. We love airplanes too. So we invited Tom Himka, Colorado Springs Maintenance Manager to give us an overview of what it’s like to be a SkyWest Mechanic. Starting a new career can be a bit overwhelming, and you probably have plenty of questions. For instance, what is it like being a SkyWest mechanic? We can tell you, there isn’t anything more exciting than working nose to tail on state-of-the-art aircraft. And that’s exactly what every A&P mechanic at SkyWest does. With safety at the forefront of every task, every mechanic is responsible for the miracle of flight. Our maintenance team of industry leading professionals uses the best technology to keep a fleet of over 450 aircraft safe in the skies. I’ll share an overview your first night, week and year as a SkyWest mechanic. We look forward to seeing you at work on the hangar floor. Your first night at the maintenance hangar starts by attending a pre-shift meeting with all mechanics. Here, you’re assigned a Crew Lead, team and the aircraft you will be working on. Maintenance Crew Leads oversee 3-4 aircraft, plus one heavier inspection aircraft. All work must be wrapped up and the aircraft positioned to head back to the gates by 4:30 a.m.
SkyWest’s approach to teaching about the different aircraft is a mixture of hands-on and classroom experience. 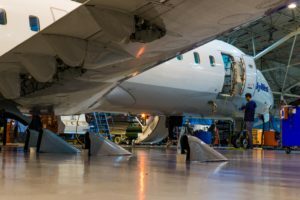 You can expect to spend 3-4 weeks on the hangar floor with the aircraft and an on-the-job trainer. You will also attend familiarization classes for each fleet type. To help with the steep learning curve of your first week, you will meet with a Designated Trainer. 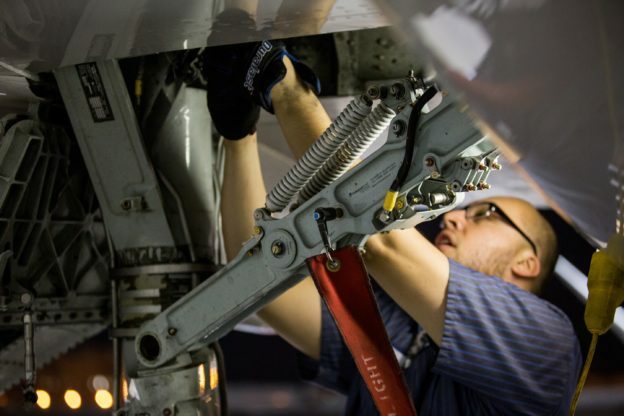 A Designated Trainer is a Level III mechanic who works with Inspection and Production, and will specifically train you on SkyWest’s policies, procedures, and SkyTrack computer maintenance documentation. The Designated Trainer acts as your mentor and coach as you work through assignments and sign-off tasks. Your first month, you’ll be hands on the aircraft with walk arounds, learning component locations, and inspection trainings. For the first 30 days, FAA regulations require all work to be signed off by a trainer. Within your first year you’ll reach Level II mechanic status, working on Level III tasks with the intent to attain Level III at 18 months. You’ll continue class training for each aircraft type and module classes for specific systems like hydraulics, fuel or air conditioning. Our Accelerated Training Program is designed to get every mechanic from Level I to Level III in 18 months, allowing the flexibility to work independently as well as lead or assist new mechanics. Keep in mind that each level upgrade is accompanied with a pay increase. Already have your A&P? Apply here! LIII – can lead a shift and train tasks to L1 or L2 mechanics, with the added responsibility of module classes and troubleshooting all systems. 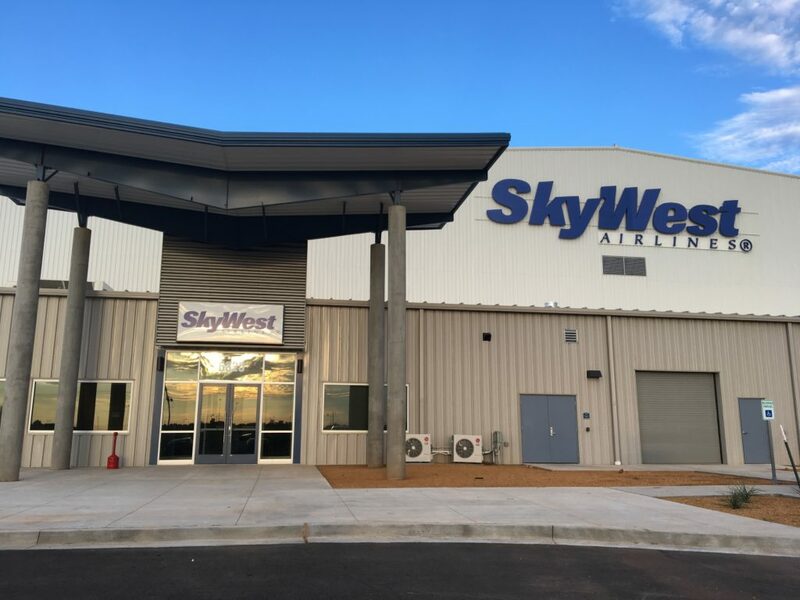 SkyWest was pleased to host a ribbon cutting ceremony and recruiting event at our new Oklahoma City Airport (OKC) hangar on Thursday, marking the latest addition to our impressive maintenance footprint! 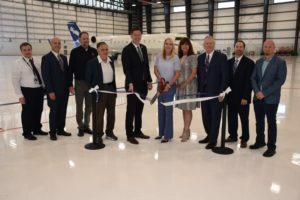 The ceremony was attended by local dignitaries including Oklahoma City Mayor David Holt and Greater Oklahoma City Chamber of Commerce Chair Rhonda Hooper. This new SkyWest maintenance base will support SkyWest’s flying for every partner and every aircraft type in our fleet. 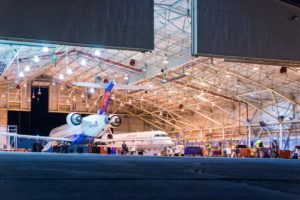 At 135,000 square feet, the new space will be able to accommodate up to nine overnight aircraft and will eventually be the workplace for 100 Maintenance team members. 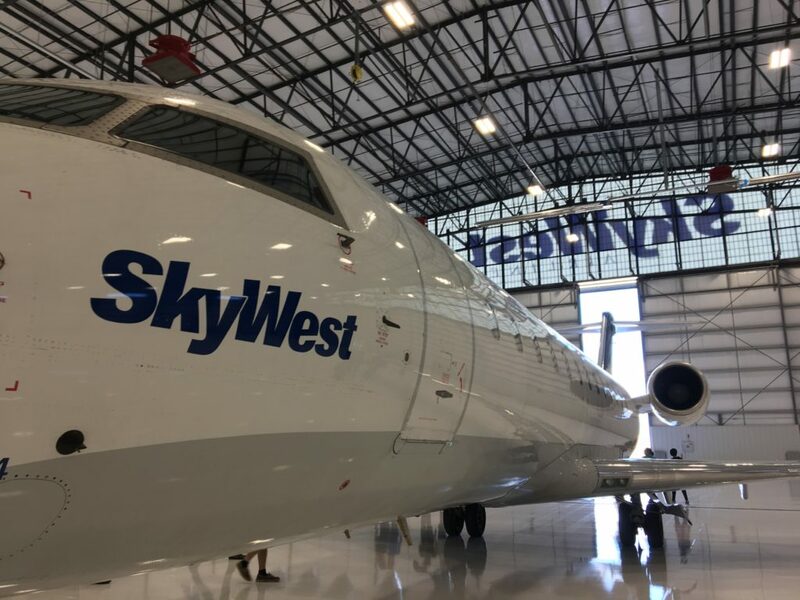 The OKC base will be a pivotal piece to maintaining SkyWest’s unmatched reliability as its geographical location supports the entire SkyWest route system and will also support future growth. 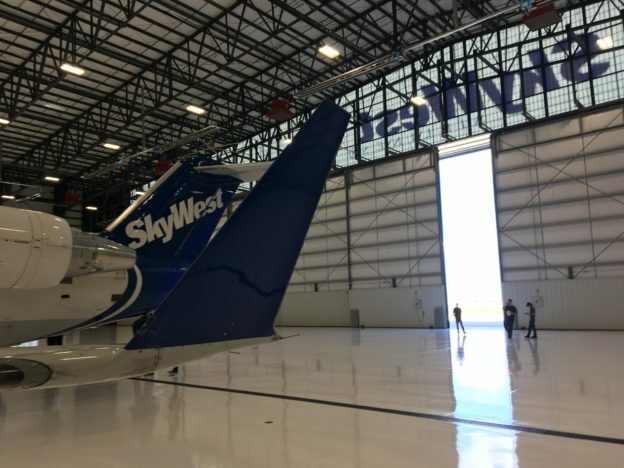 This new hangar required much planning and execution from a number of SkyWest team members. Thank you to everyone on the SkyWest team who put in tireless work to prepare this beautiful new facility for operation. And, thank you to our OKC team (and a warm welcome to our newest SkyWest team members) for your daily commitment to safety and reliability as you work on the SkyWest fleet. Interested in joining the SkyWest team? Click here for open positions in OKC and throughout the SkyWest system.